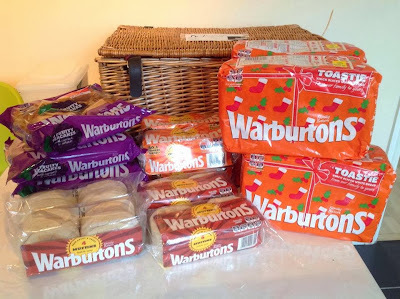 Warburtons are a very local company to me, and pretty much the only bread anyone round here will eat. 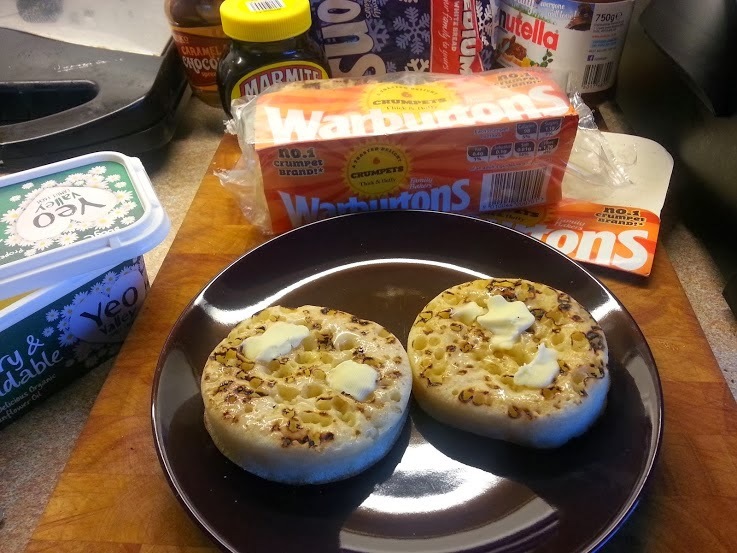 Thankfully that's not in any way an issue, as their breads, crumpets, teacakes and the rest of their range are delicious. It arrived on Monday, so Eileen from ET Speaks From Home and her family had a couple of days feast, and they went around all of their neighbours giving out what they wouldn't be able to eat or freeze so that not a single slice was wasted. Warburtons are really getting into the spirit of things this Christmas with specially designed festive wrapping and a competition hosted on their Facebook page. To launch the competition they built the UK's first baked Christmas Tree on London's South Bank. Standing over 12 feet tall it took 50 hours to build and comprises 2500 pieces of bread, pancakes, crumpets and wraps. Between now and Christmas they will show several photographs of the tree with a gift beneath it, and their Facebook fans can guess what the gift is for a chance to win it. Simple! It is so yummy especially the teacakes! In some instances, Facebook fans can also be bought.